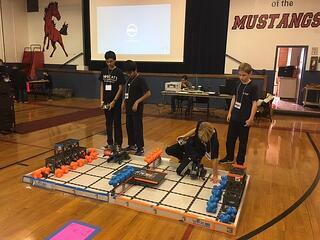 The VEX IQ Challenge judges said our team won the award due to "an effective and efficient design process. As well as their ability to articulate their design process, decision making processes, and meticulously track and record design changes." VEX IQ has a team of 3 to 5 expert professional judges from industry and academia. Teams must achieve a certain minimum points for different aspects of design like mechanism, calculation and design notes, design process, and more. The game, Crossover, is played on a 4’x8’ rectangular field configured as seen above. Two robots compete in the Teamwork Challenge as an alliance in 60 second long teamwork matches, working collaboratively to score points. 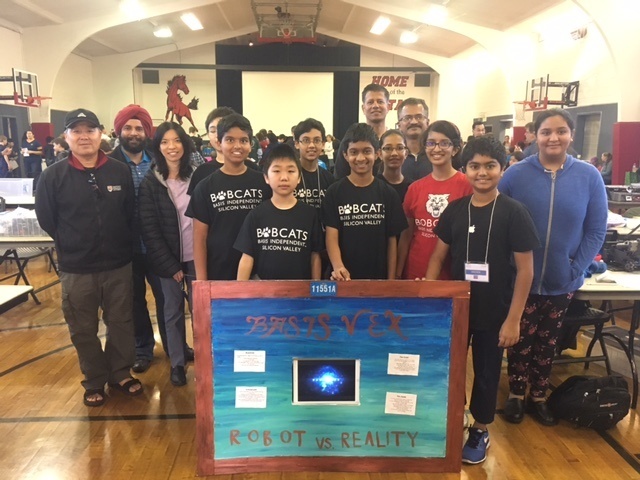 Teams also compete in two additional challenges; The Robot Skills Challenge where one robot takes the field to score as many points as possible under driver control; The Programming Skills Challenge where one robot scores as many points as possible autonomously, without any driver inputs.